The adult colouring book craze has swept across the world, with everything from TV shows to comic books getting the treatment lately. But now IKEA is joining in with a book that lets you therapeutically colour in minimalist Swedish furniture. It’s probably less stressful than trying to put it together, at least. IKEA released the five pages online, featuring a swathe of their products arranged into fanciful designs, including everything from kitchenware to sofas, from potted plants to light fixtures. 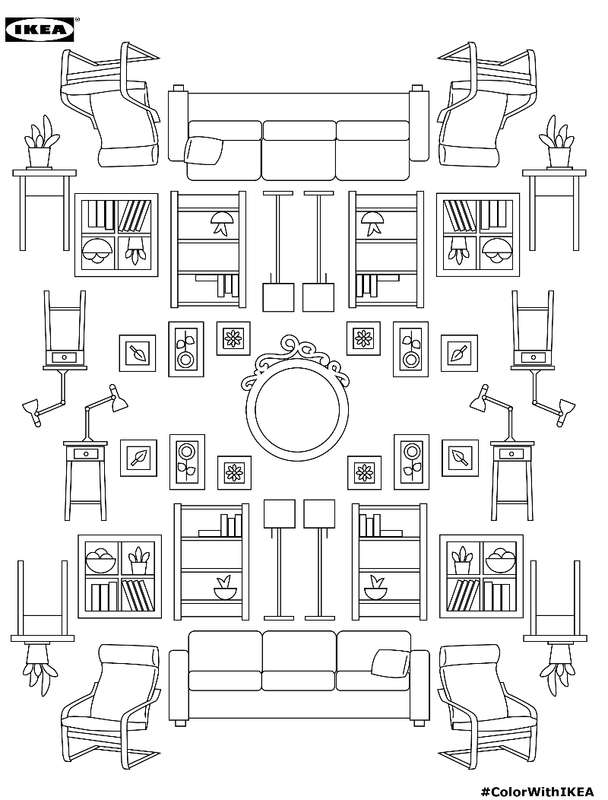 It’s a neat idea, especially the way they’ve been laid out, but I wonder if just doing pictures of various rooms decked out in IKEA furniture would’ve been as therapeutic. You’d get to pick a colour scheme and unleash your own interior designer! Or, like, you know, make the wardrobes lime green with neon pink handles. Whatever you’d like! If you feel like you need some relaxation that can only be remedied by the curative qualities of Swedish design, you can download the pages here.